I have signed up for, and started Camp Nano. Having never been virtual camping before I wasn’t really sure what to expect. But somehow, strangely enough, it does have a ‘camp-y’ sort of feel to it! I have a cabin which I ‘share’ with 5 others. They are all at least 10 years younger than me, (with the possible exception of one who has not shared her age) and come from all over the world – Germany, France, UK and US. Wow! The other’s mostly seem to be writing Fantasy and Science Fiction, though one has left her genre blank and the other’s simply says ‘other’. We have our own message board – and so far three of the others have been active in writing messages, and sharing virtual snacks (s’mores – I have heard so much about them recently, but still never had one! 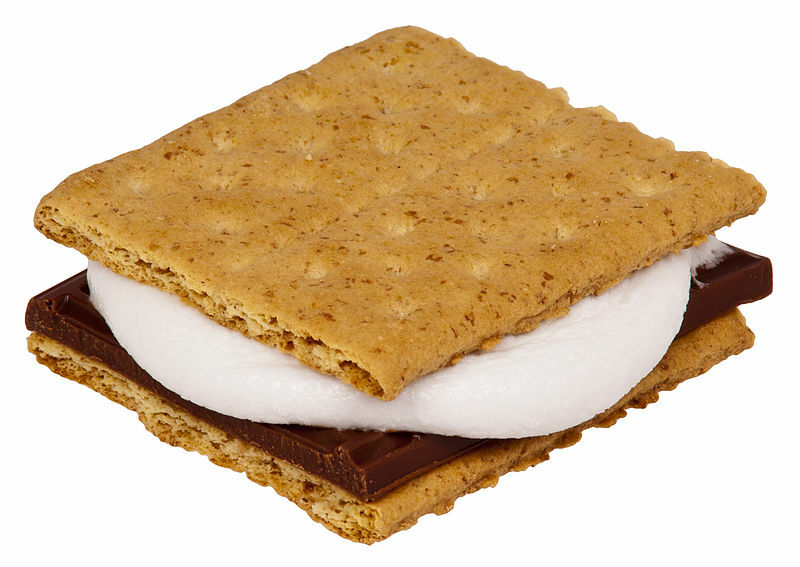 – for those of you who have no idea what they are – check this out: http://whatscookingamerica.net/Cookie/Smores/Smores.htm also see image below!). The other two cabin members have been quiet so far – not a peep out of them. I’m looking forward to sharing my month of writing with these people. Singing songs and telling stories around the camp fire, hopefully learning a thing or two about the places they come from (aside from s’mores . (I still can’t get past this idea of S’mores – chocolate, marshmallow – it sounds divinely rich and totally sickening at the same time!) Sharing our novel-writing journey. And I suppose I should share a few words of my own writing journey while I’m at it! I’ve had two hectic days – organising my son’s 6th birthday party with friends, as well as a quieter family dinner, and preparing candles ready to sell at a market has not left much time for writing – still, I’ve squeezed it in – managing 1695 words yesterday, and 1771 words today. (For those who don’t know, the daily word count goal of Nano is 1667). So I am coasting at the moment. My aim is to write a chapter a day – something I have never really bothered with in the past, where I have just written and tried sorting the story into chapters later. So far, so good. My first two chapters have come to a natural ending, ready to move on to the next part of the story. For now I’m exhausted. Looking forward to a sleep in and a much more relaxed day for writing tomorrow!